This post is brought to you by the Duck Brand. 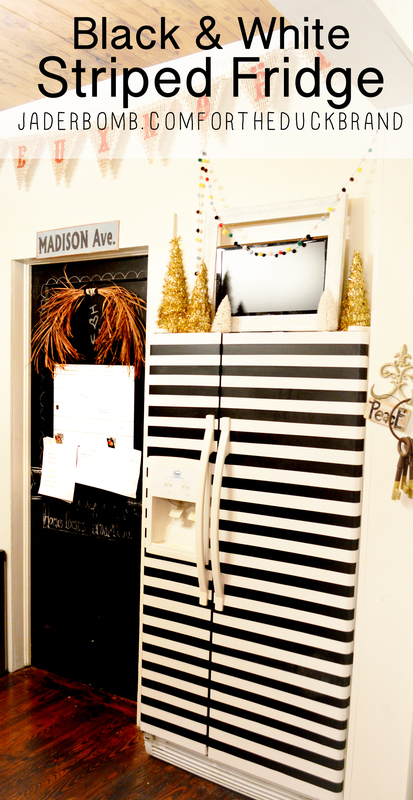 Well hello you cute little Black and White Striped Fridge! I was wondering why I keet going back to the fridge lately but maybe i’t’s the stripes! I’ve never been more excited to get eggs and milk than I am now! Oh and stripes makes all the food inside taste better, hehe. Let’s get started! The first thing you want to do is layout your adhesive paper. 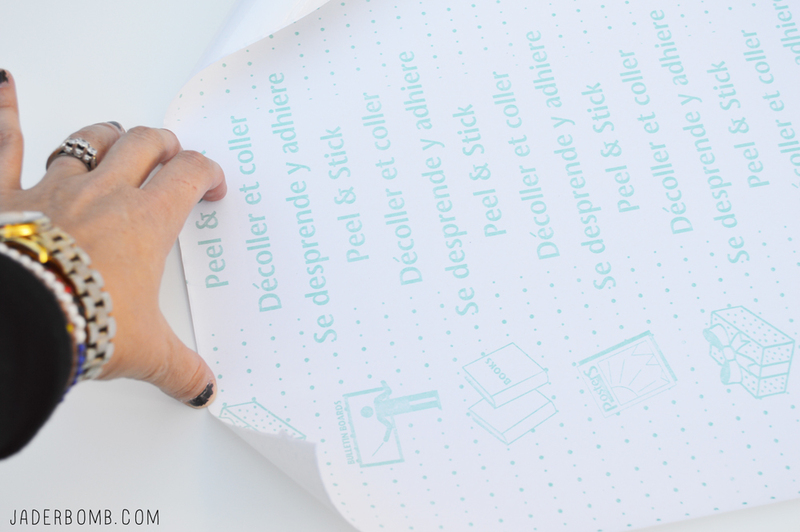 I love this paper because you can simply peel the back off and voila! 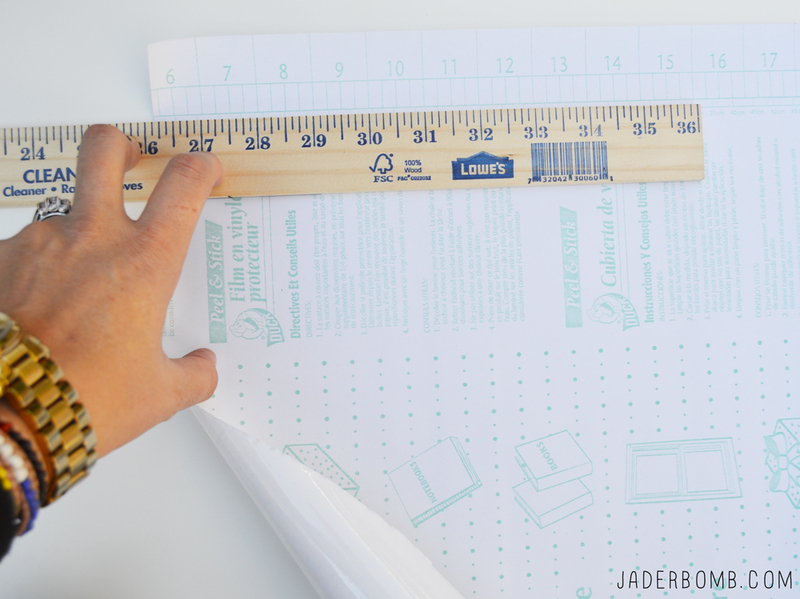 Once your paper is flat on a table grab a ruler and place it on the side of sheet. You will see on the sides of the paper (on the back) that there are lines already there for you. I placed the ruler on the second main line. It made my lines about 2 inches wide. 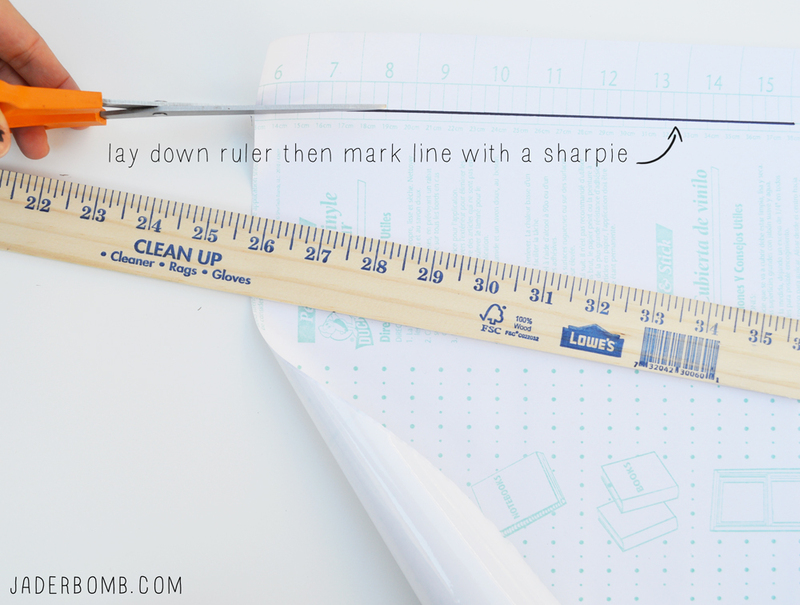 While your ruler is down grab your sharpie and trace over the line. This will just make it easier to cut. 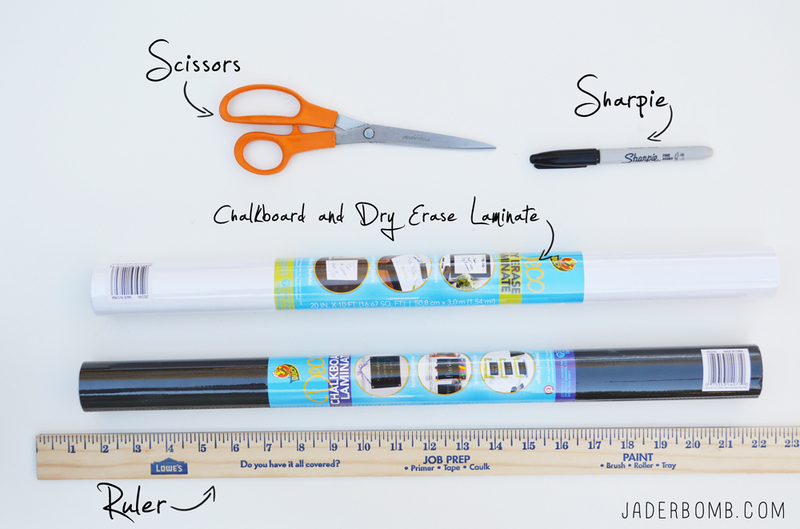 If you feel secure cutting the line that is already there then you don’t need to use sharpie. 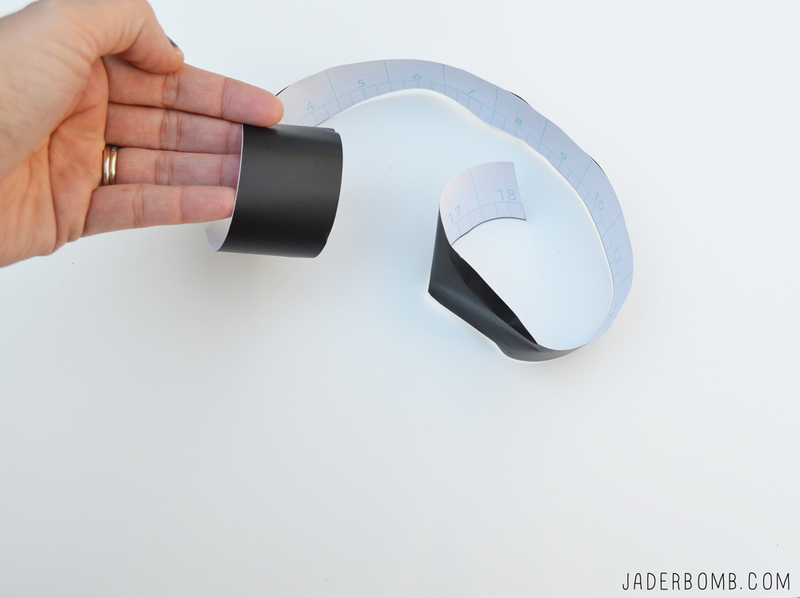 Once you cut your paper this is what it will look like. Time to move on to the fridge. 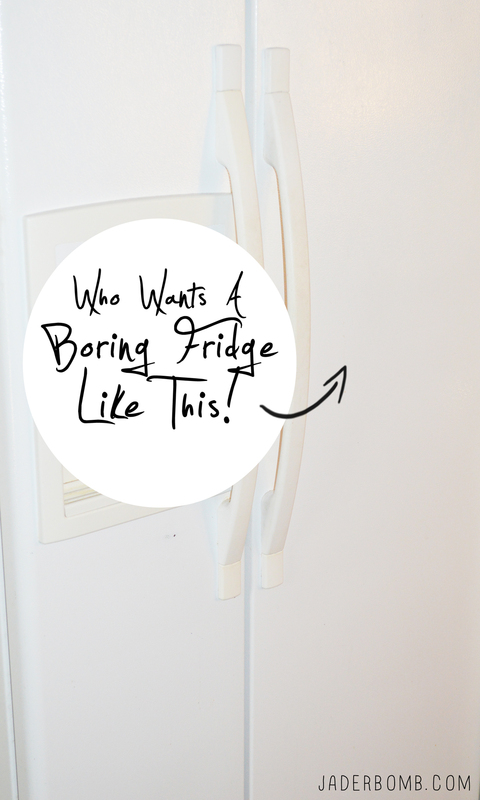 Your boring fridge is about to get a complete face lift. 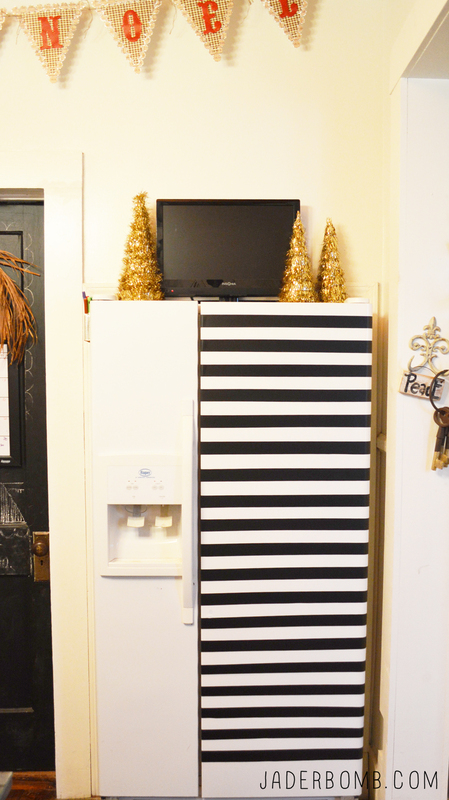 Just start alternating from chalkboard adhesive to dry erase adhesive! It’s that simple. This is what it will start to look like. Are you in love yet? I love drawing on each line. The great thing is this will not damage your fridge at all! You can peel it all off whenever you want. 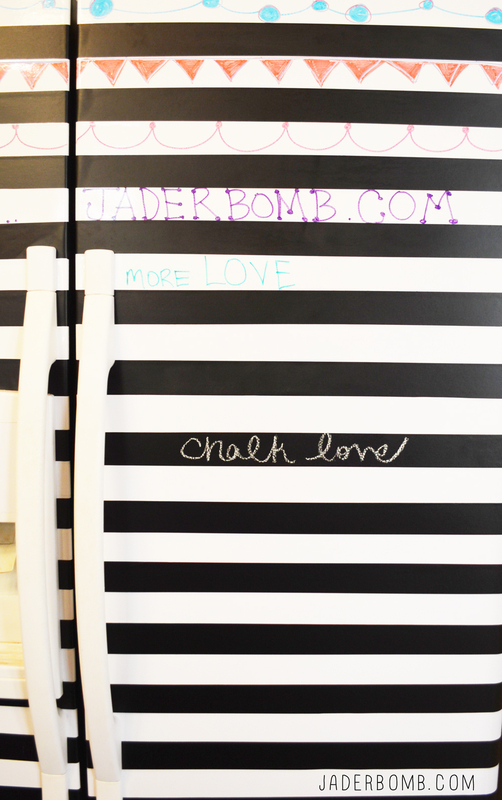 The white is dry erase and the black is chalk board! 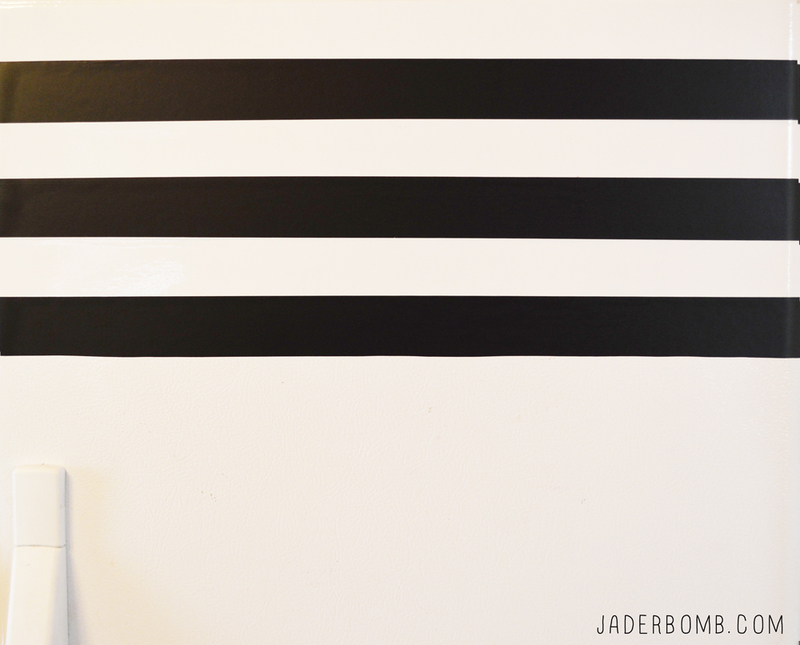 I hope you enjoyed this fun tutorial brought to you by Jaderbomb and Duck Brand! What will you do with your laminate! This is a sponsored post however all ideas and opinions are my own! This is perfect timing. I had asked a few teachers what needed to be done in their lunchroom and one of the teachers said the refrigerator needed to be painted. 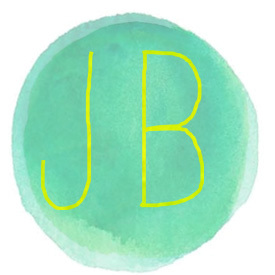 I think this will work out perfect in their room – now I just need to find the laminate and chalkboard. Thanks for sharing your project. Oh my gosh! I love this! 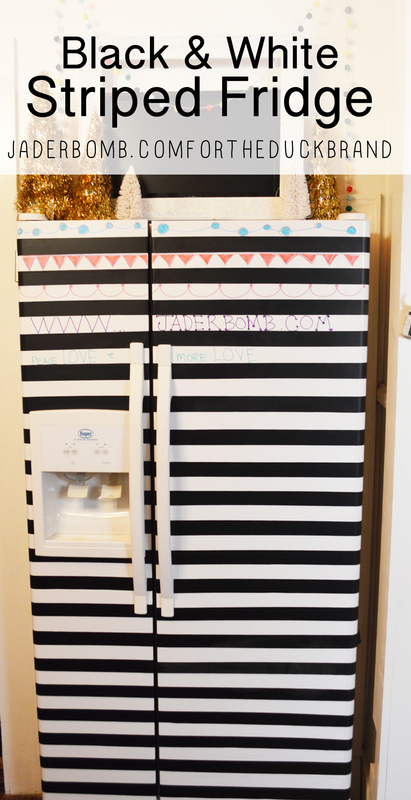 You are right, a striped fridge is WAY better! Amazing! Sharon! I am glad you agree with me, haha! WELCOME! What a wicked idea! 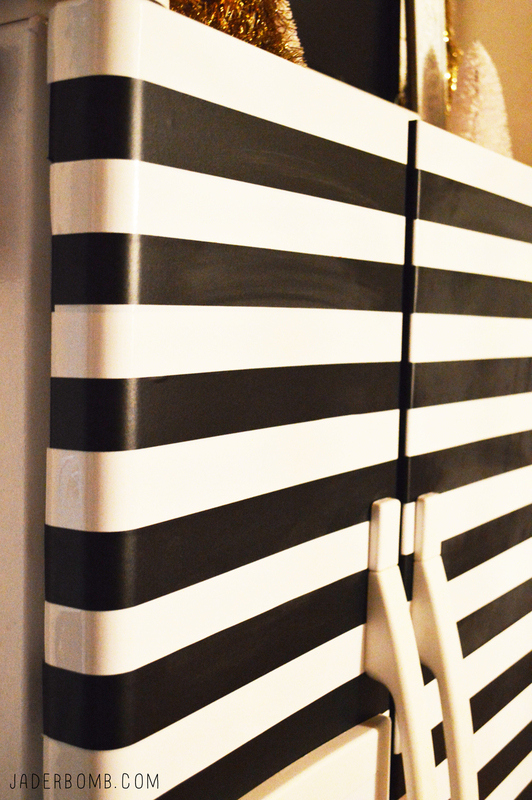 That looks so amazing, I wonder if you could do this with that washi tape or if that would be a pain to remove.